Fallen Fate have released a studio update, showing their recent time in the studio recording their next release Into The Black. The concept album will be released on 30th January. The band who recently came 4th place in Terrorizer Magazine’s top unsigned bands of 2013 spent early last year in Stymphalian Productions in York with producer James Stephenson recording a couple of studio updates along the way so we could get a feel of what to expect from the band’s second release and follow-up to 2011’s The Virus Has Spread. The studio update video can be viewed below. Based on a horror movie theme around a young girl called Vespa the concept of Into The Black plays a big part in how the album sounds and how it is visually portrayed through the artwork and upcoming videos. It contributed to the evolving sound of the band as we introduced more keyboards and experimental sounds into the mix, giving it a different dark feel and sound. Supported by a release show in The Forum, Darlington, the album is set for release January 30th 2014. 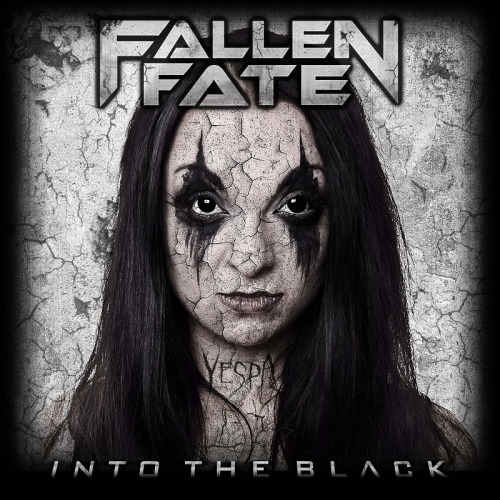 North eastern metal unit Fallen Fate have announced their upcoming full-length release, Into The Black. 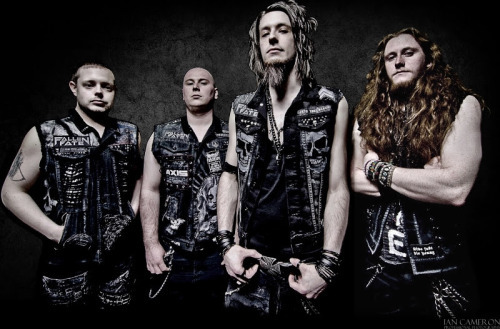 Following the release of 2011’s The Virus Has Spread, with which the band stormed the UK, Fallen Fate have regrouped and are ready to unleash another lashing of metal onto the masses. Dark, Expressive and Heavy… The sound and feel of Fallen Fate has changed quite a bit since the release of The Virus Has Spread. The band has progressed and developed a more solid metal sound while maintaining a unique mix of speed and heaviness in the music. Based on a horror movie theme around a young girl called Vespa, the concept of Into The Black plays a big part in how the album sounds and how it is visually portrayed through the artwork and upcoming videos. It contributed to the evolving sound of the band as we introduced more keyboards and experimental sounds into the mix, giving it a different dark feel and sound. She [Vespa] chose a life without faith and over time became possessed by a demon. The demon slowly took over her body and ultimately lead her to kill herself and her family. The drive behind the concept is to empower the listener to decide whether she was possessed by the Devil, as she has no saviour in her life, or if she was possessed by God, punishing her for her lack of faith. The artwork designed by both Photographer Ian Cameron and Skinner through his own Black Venom Designs compliments the album’s running theme. Supported by a release show in The Forum, Darlington, the album is set for release 30th January 2014. 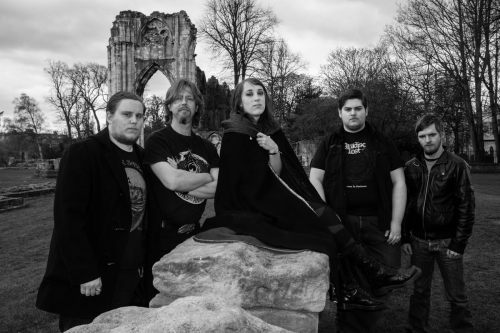 Gothic melodic metallers Lost Effect have recently returned to the studio to record their follow up to their critically acclaimed Embrace The Silence EP. The band are aiming to release the currently untitled record sometime in 2014. Lost Effect have also announced that they will be returning to their local scene in York for a show where they bill be supporting Breed 77 at Fibbers on 25 November, later this year. Tickets are available for £10 from this location. Once again, Asgard are another night of furious metal to the city of York at the end of the Jorvik Viking Festival. This year will see the show headlined by Danish metal titans Svartsot who have never headlined a show on British shores. This will also be the band’s first ever UK show. Joining them as main support are one of the UK’s finest black metal covens: Old Corpse Road, who hail from the dusky location of Darlington. Drawing heavily on British folklore for their influence, Old Corpse Road are the perfect addition to the bill. The opening act is to be confirmed. The show will take place on 22nd February 2014 at Fibbers in York. Tickets will be available soon from Asgard as well as the venue and other ticket outlets. So we’re bringing our unique style of Melodic Metal back to Bridlington! Having worked with Valkyrian Music for a while now we’ve gotta say we’re excited to be added to the 2013 bill alongside some amazing bands! Shades Nightclub know what we’re about and we what we do and we always enjoy giving it what we’ve got there! There’s some great talent on the bill, some familiar faces we’ve gigged with before and some we haven’t, either way we can’t wait to play alongside such a great array of bands representing metal! See you down the front! 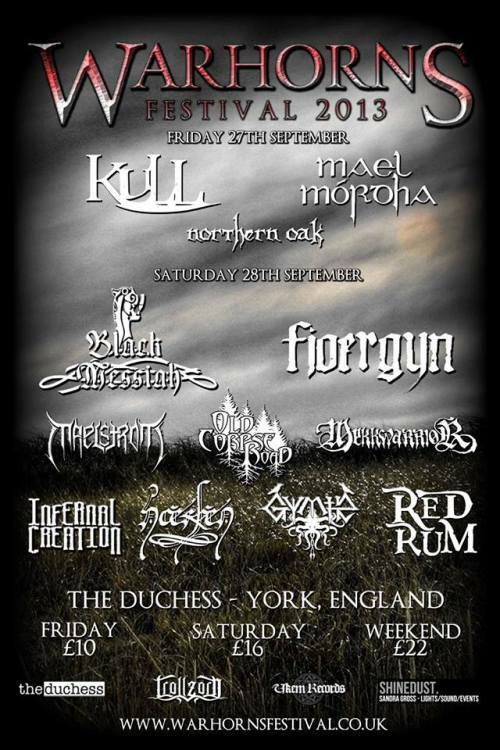 In related Valkyrian Festival news, Aonia will be headlining a Valk-Fest fundraiser at Shades Nightclub, in Bridlington on 7th September with support from Spekulus and Penance, the latter of which [performed at last year’s Valk-Fest. 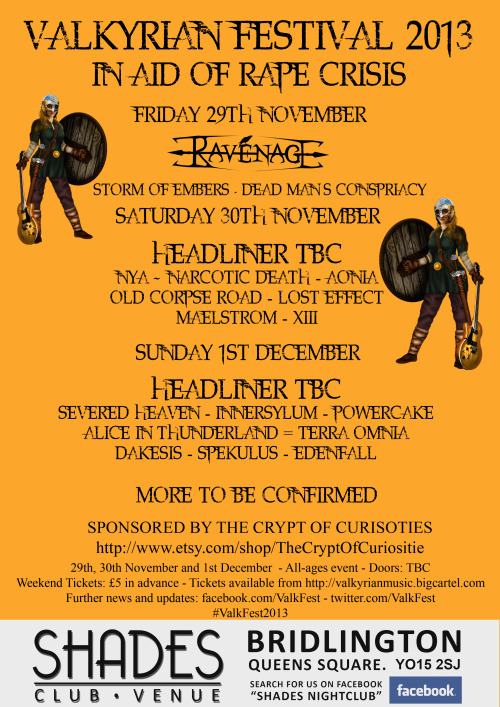 Further support acts to be announced and a lot more bands are still to be announced for Valkyrian Festival 2013. Further Valkyrian Festival announcements and info can be found here.